Suggest that your kid reach for a black long sleeve t-shirt and a beige tulle skirt to get a laid-back yet stylish look. As far as footwear is concerned, let salt water sandals by hoy sandal be your little one's choice in the shoe department. 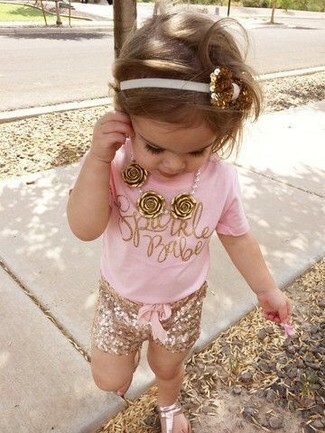 Choose a pink t-shirt and gold shorts for your little princess for a comfy outfit. 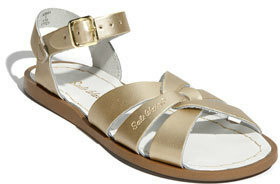 Salt water sandals by hoy sandal are a great choice to complete this look. 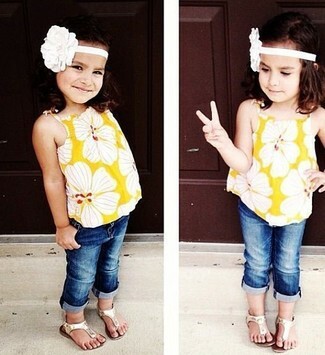 Choose a yellow tank top and navy jeans for your little angel for a laid-back yet fashion-forward outfit. 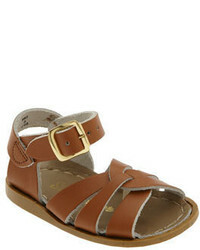 Salt water sandals by hoy sandal are a nice choice to complement this look. Suggest that your little princess dress in a light blue tank top and tan shorts for a laid-back yet fashion-forward outfit. Salt water sandals by hoy sandal are a nice choice to complete this ensemble. Suggest that your girl opt for a white tank top and navy jeans for a laid-back yet fashion-forward outfit. This ensemble is complemented perfectly with salt water sandals by hoy sandal. 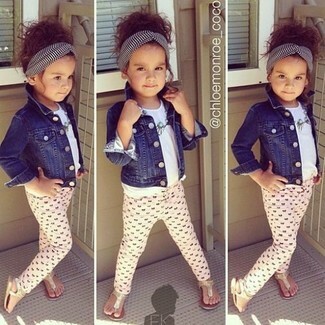 Choose a navy denim jacket and pink leggings for your kid for a fun day out at the playground. This getup is complemented wonderfully with salt water sandals by hoy sandal. Suggest that your little one reach for red lace dress for a stylish and sophisticated look. 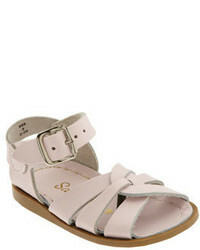 Salt water sandals by hoy sandal are a savvy choice to complete this look. 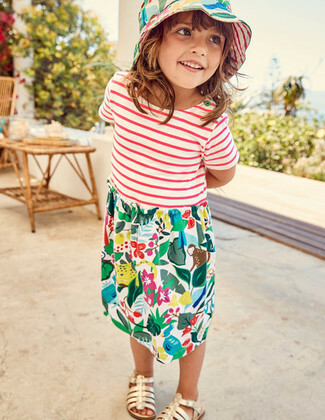 Wearing multi colored print dress is a great fashion option for your little one. 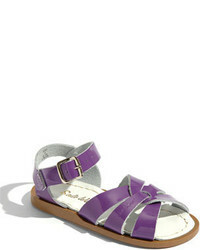 This outfit is complemented well with salt water sandals by hoy sandal from Nordstrom. 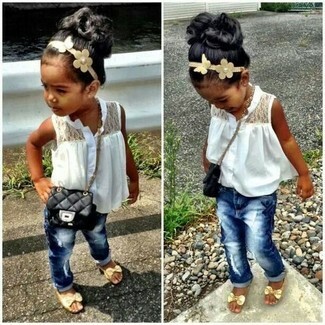 Suggest that your little fashionista go for a white tank top and a yellow skirt for a fun day in the park. This ensemble is complemented brilliantly with gold sandals.